The beginning of the week arrived with the promising news that LG is finally launching its flagship G7 ThinQ in India after the phone was teased as a Flipkart Exclusive. The day of the launch has finally arrived, and the device is up for sale. The arrival at the Indian market might be quite late, compared with most of the world, but at least it comes with a surprise - the phone listed is actually the G7+ ThinQ with 128 GB storage and an attractive price tag of INR39,990 ($580/€505). The latest LG flagship has a notched 6.1” FullVision LCD with tall 19.5:9 ratio and QHD+ resolution (564 ppi). The chipset is Snapdragon 845, coupled with 6 GB RAM. The 128 GB storage can be expanded with up to 512 GB more via the microSD slot. LG moved the buttons away from the back, and now the rear panel only holds the dual 16 MP wide-angle + 16 MP regular cam setup and the fingerprint scanner. There is an extra button on the left side, below the volume rocker, for Google Assistant. On the inside, we find a 3,000 mAh power cell that supports Quick Charge 3.0. 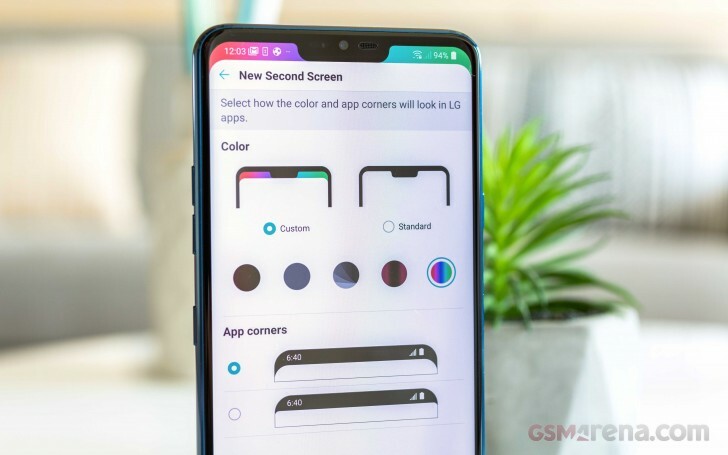 LG G7 ThinQ was introduced four colors, but only two made their way to Flipkart - New Platinum Gray and New Aurora Black. Great price - Check! Headphoen jack - Check! High end audio - Check! Great set of cameras - Check! Topline processor - Check! Brand - Check! What else do you need?